“Home” is more than a house on a street in a neighbourhood. “Home” is heart. It’s the community that surrounds you and supports you when you need it most. 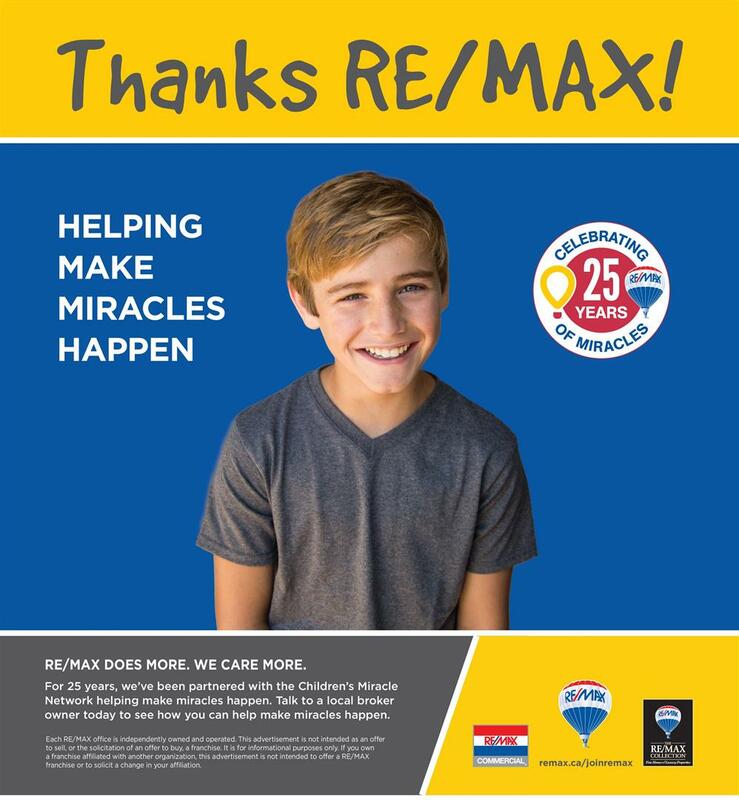 That’s why RE/MAX Canada was proud to celebrate our partnership with Children’s Miracle Network last year, with 2017 marking 25 years of miracles. Since becoming a Children’s Miracle Network partner in 1992, RE/MAX Canada has donated over $70 million that will help more than 5,000 children who attend CMN hospitals every day. By signing up for the Miracle Home Program, RE/MAX agents contribute a portion of their sales commissions to Children’s Miracle Network member hospitals – a truly worthy cause. Each donation helps fund paediatric medical equipment and treatments, as well as other healthcare services . In addition to participating in the Miracle Home Program, RE/MAX in Regina hosts various charitable events to support our local Jim Pattison's Children's Hospital of Saskatchewan, including our annual golf tournament.